This rural area of Peterborough has a long and special history. So special we wrote a book about it. 'The 5 Parishes Journal, their people and places'. A history of Castor, Ailsworth, Marholm, Upton and Sutton - and the Milton Estates. 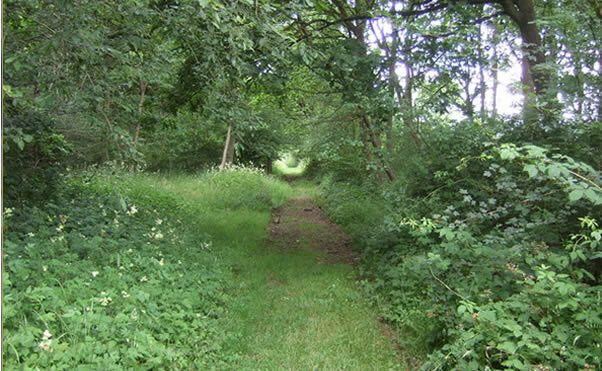 Castor Hanglands is an 89.8 hectare biological Site of Special Scientific Interest west of Peterborough It is also a National Nature Reserve, and a Nature Conservation Review site, awarded Grade I for its woodlands and Grade 2 for its grassland. It is common land managed by Natural England. Castor Hanglands has ancient ash and maple woodland and unspoilt grassland and scrub. Natural England describes it as valuable for invertebrates, including some rare species. Its ponds and ditches have a variety of aquatic wildlife including the warty newt. In recent years conservationists have realised that it’s not enough to protect isolated areas of ‘habitat’. There need to be safe links for wildlife to move between different locations so that they can breed healthily and survive in the long term. A wildlife corridor is a link between different habitats that is itself a safe and natural environment with no fences or walls to block animal movements. There are many important sites for wildlife in this area of Peterborough’s countryside, not least the sites protected by the Langdyke Trust. Introducing a major development in this area will block significant wildlife corridors between these locations and the important River Nene area, flowing south of Sutton, Castor and Ailsworth and into Nene Park. This area is also steeped in history. Archaelogical excavations have unearthed large numbers of artifacts, particularly from a Roman settlement in the valley. Many of the area’s finds are on display in Peterborough Museum. A visit from the Channel Four programme Time Team in 2010 is an indication of how important this area is on a national level. St Kyneburgha in Castor is said to be one of the finest Norman churches in the country and is supported by its own St Kyneburgha Buildings Preservation Trust.